Long Bottom Bucket with Teeth. This bucket is designed for greater visibility of the cutting edge and allows you to move more material than our low profile buckets. Our standard bucket offers 3/16″ formed wrap, 1/2″ x 6″ cutting edge and 3/8″ x 2″ wear bars. Rated for machines up to 45 hp. The long bottom offers a better view of the cutting edge, it will also allow the user to carry more material than our low profile buckets. 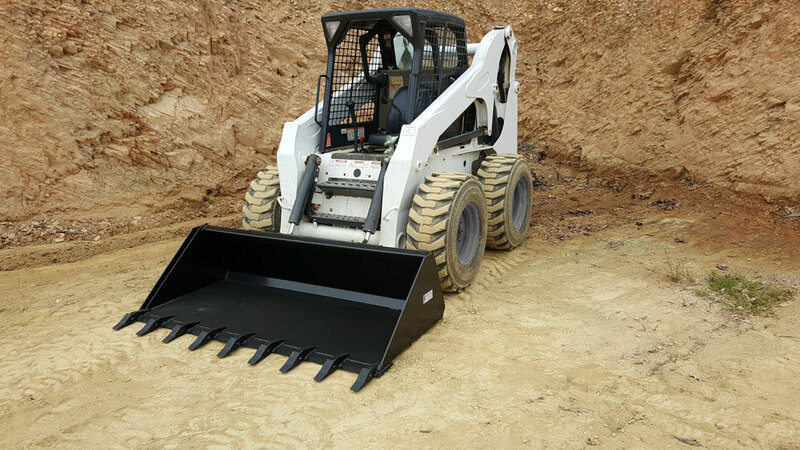 American Attachments long bottom bucket with teeth is designed for customers with lighter skid steers. 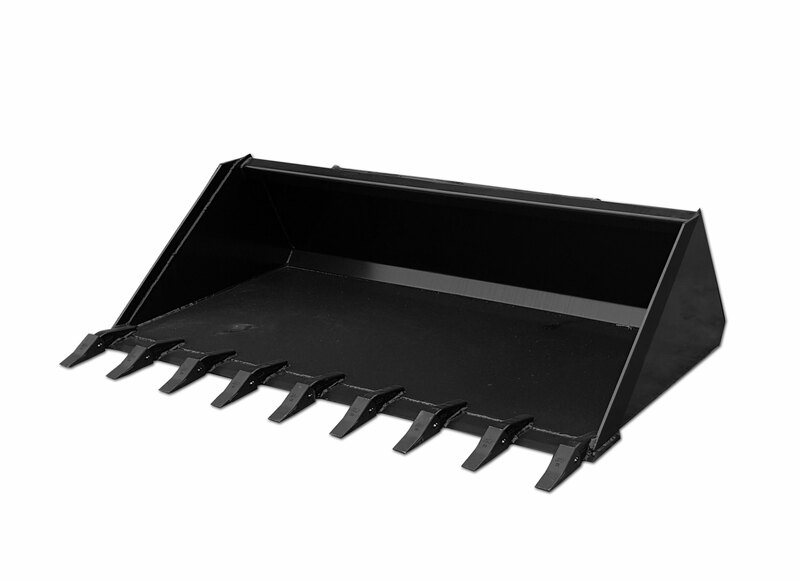 If this bucket is too light for your skid steer please see our Heavy Duty Long Bottom Buckets with Teeth. These buckets are rated for machines up to 65 hp and are built to take on the toughest jobs. Long Bottom Bucket with Teeth Specs. 3/8” x 2” wear bars. Optional weld on teeth available. Long Bottom Bucket with Teeth Sizes. Copyright © 2019 American Attachments. All rights reserved.